We’re not talking stuffy rooms full of people blah-blahing but we are talking suits, oh yeah and longboards too. Before you start looking for last minute flights to Canada, there’s one closer to home. 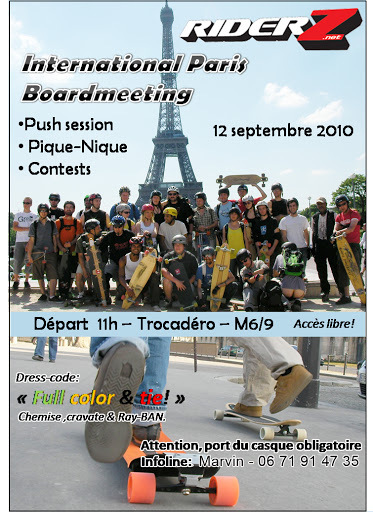 On the 12th September Paris will also host it’s own board meeting! Allez! On the agenda, a push session taking riders through the heart of the city, a picnic and to top it all off a slide jam to wrap up the proceedings. This was a very good post. I would like to hear more. Perhaps your guests will like my website with cybergoth and scene kids pictures. Previous Previous post: Mr Jim and Bro’s Swedish Adventure! Next Next post: Skate4Kenya reach their journey’s end!